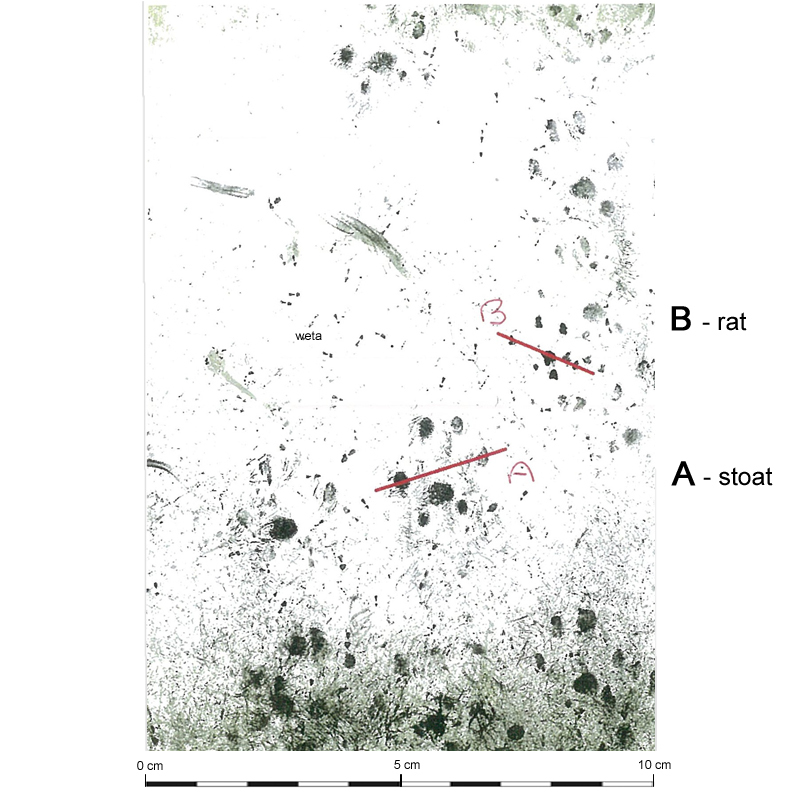 Tracking tunnel paper showing stoat, rat and weta tracks. The line in the stoat footprint (A) is in front of the central pad, which is typical of mustelids. The rat footprints (B) are distinguished by the line drawn between toes 1 and 4 on the forefoot, which bisects the centre pad (or can be slightly behind it).